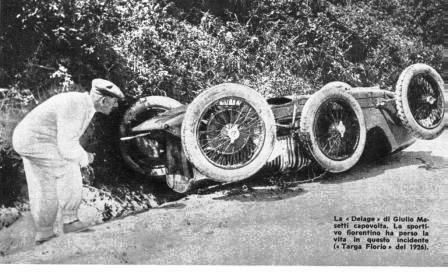 This week it was pointed out to me that I had misidentified the winner of the 1921 Targa Florio. 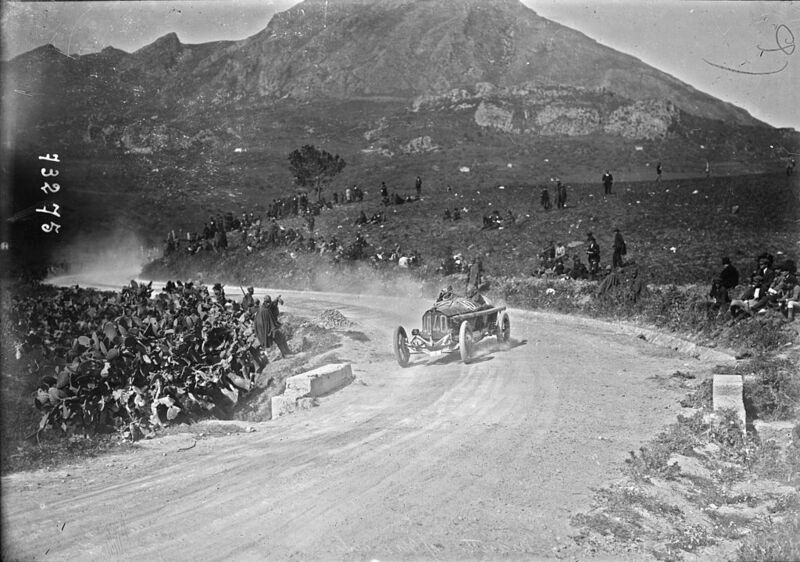 I can not recall from where I got the wrong information, however actual the winner of the 1921 Targa Florio was Giulio Masetti. As a result of my error, I decided to take a closer look at the career of Giulio Masetti. The Targa Florio was a major European road race on the public roads around the island of Sicily. Over the years, the Targa Florio was run with various configurations. 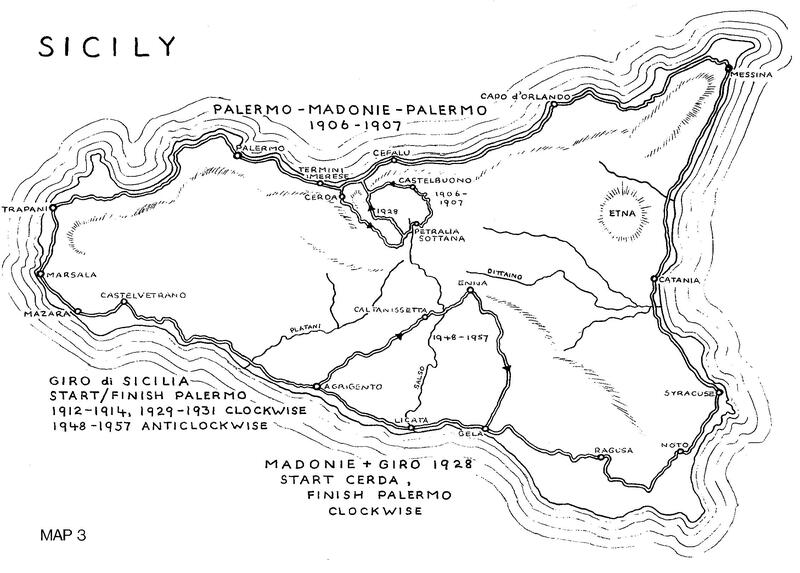 The map below, from Chris Jones’ great book “Road Race”, shows an overview of some of the Targa Florio routes. It is interesting that the full back cover of Chris Jones’ book is a photograph of Giulio Masetti. Giulio Masetti was born in Florence in 1895 into a very wealthy family. 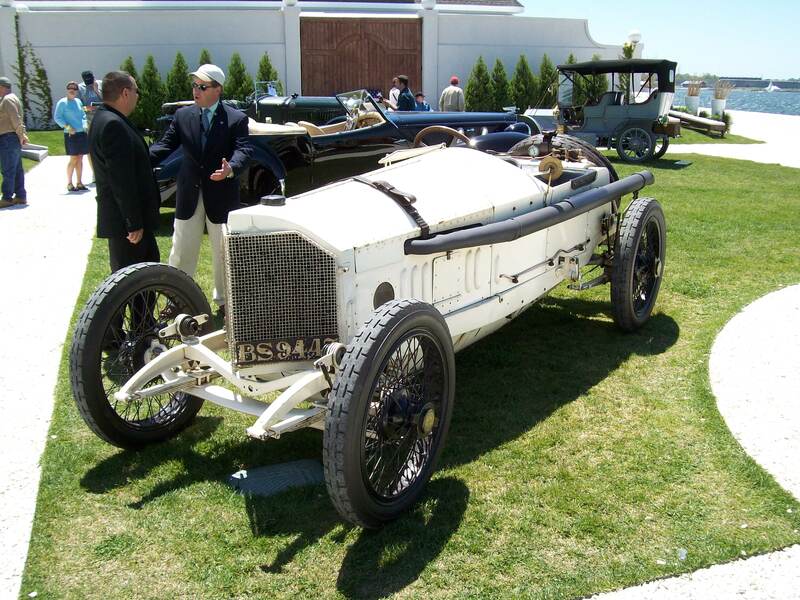 He began racing at an early age, finishing 4th in the 1919 Targa Florio against top-notch competition. He could truly be said to be a gentleman racer as he always competed as an amateur racer, but as a very successful amateur racer. And it appears that he dressed like a gentleman during his racing. It’s clear from these photographs below that Giulio Masetti was quite a driver. 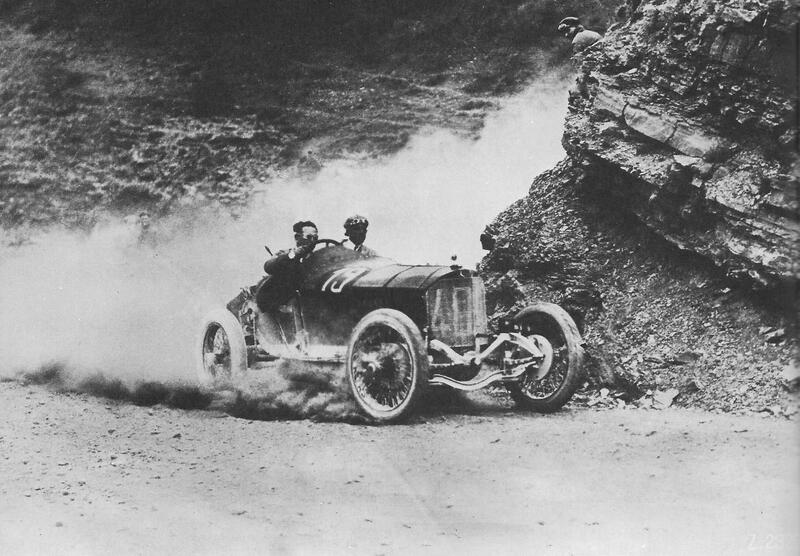 The photo below shows him during the 1922 Targa Florio, which he won as well as the 1921 race. First, note that he and his co-driver are wearing ties! Masetti even has his suit jacket on! Also, look how close he is cutting the inside of that rock corner! And from all that dust you can tell he is going fast. 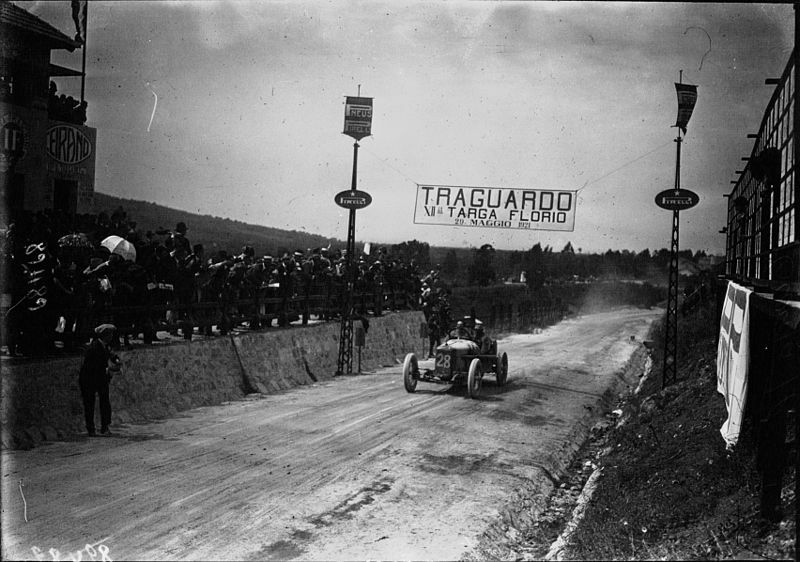 Another photo from the 1922 Targa Florio shows Masetti sliding his Mercedes around a right curve over a bridge in a very aggressive position. He does not seem to be leaving anything on the table! 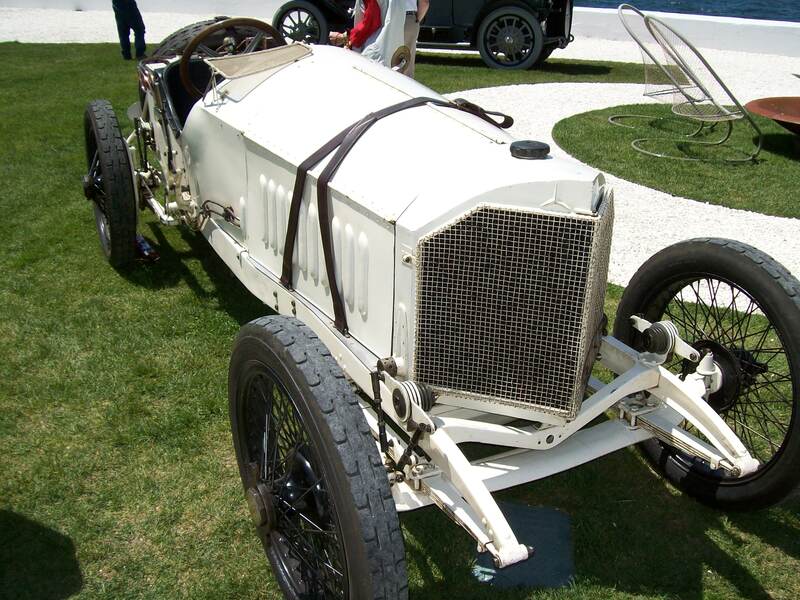 The car that he is driving in the 1922 Targa Florio is his privately entered ex-Otto Salzer 1914 Mercedes 4.5-litre 115 HP 18/100 Gran Prix car. Several years ago I saw one of these cars in Newport, Rhode Island. The car that I saw is shown below. I think that the Mercedes car that Masetti drove in the 1922 Targa Florio was fitted with larger front brakes than the car that I saw in Newport. Driving fast in a car with tires like those used in the early 1920s would be quite a challenge. 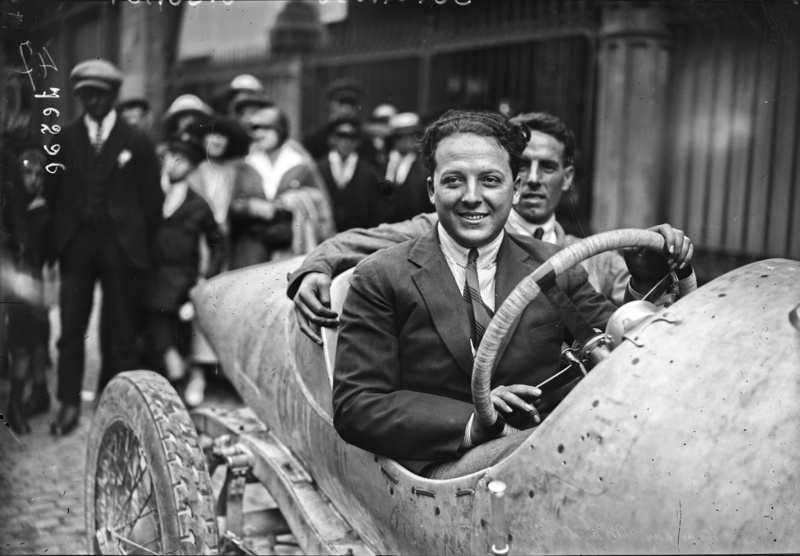 Masetti had a very successful racing career, including finishing 3rd in the 1925 French Gran Prix (This was the race where Antonio Ascari was killed while leading the this race. ), but unfortunately it was short. He died on April 25, 1926 while competing in the Targa Florio in a Delage. He would have been about 31 years old. 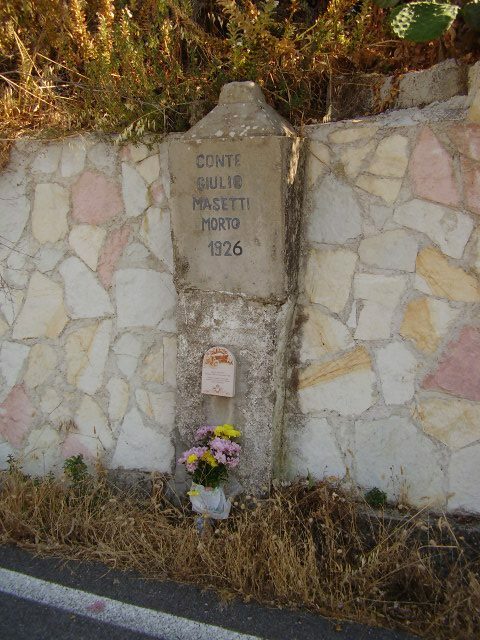 A stone plaque is erected at the place where Giulio Masetti was killed during the Targa Florio. The plaque is still at that location. For that race Masetti was driving car #13. Since this incident, cars with #13 were not used at Grand Prix events, although there might have been two one-off exceptions for some reason. This entry was posted in Uncategorized and tagged Giulio Masetti, Targa Florio. Bookmark the permalink.